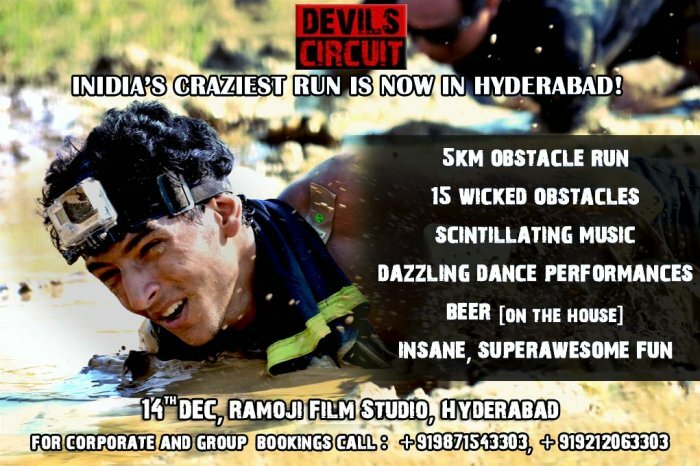 Devils Circuit is India’s first & by far, the BIGGEST Obstacle Running series. Be prepared to feel elated, scared, helpless and strong while running through the rugged, thrilling, custom designed 5km track with 15 different challenging obstacles to test your limits. A fun day out with a completely exhilarating experience at the venue with a host of additional recreational elements including Beach Volleyball, Mud Football, Crossfit workout zones, beer, pulsating music & dance performances & a lot more. Not only do the runners emerge victorious but they complete the course with a newfound respect for themselves and their abilities. The obstacles at Devils Circuit are probably straight out of the Devil's own worst nightmare! Using the basic elements of life - Earth, Water, Fire & spiced up with the eccentric wickedness of the team at Devils Circuit; the obstacles are cleverely designed to push the participants to their very limits & bring out their best.